Love, loyalty, harmony, cooperation, friendship, and prosperity are the most affectionate and heart touching words. These words carry pretty good and powerful capacity of bearing strong meanings in it. Everyone is not capable of understanding and enjoying the meaning of these words. There is a great example of love, share, and care which was set by a Saudi young man. The Saudi young man’s name was Eid Fahd Al-Mutairi. Eid Fahd Al-Mutairi belongs to a town of Al-Salhiyah located in Qasim also called Al-Qasim or Al-Qaseem. Qasim is considered as one of the thirteen administrative regions of Saudi Arabia. The young man set an example of loving and sharing by donating a portion of his most important part of the body. 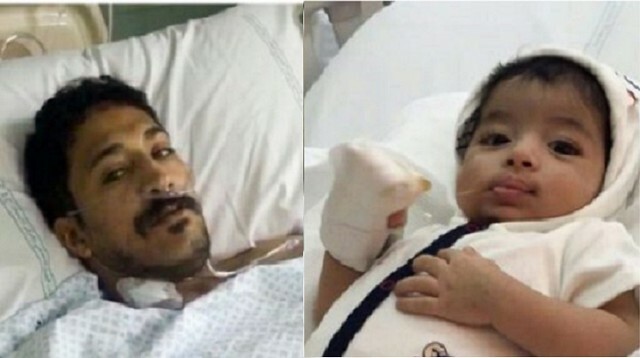 He saved his nephew’s life by donating a part of his liver. He donated to his three-month-old nephew named Walid Mazin Al-Mutairi. His little nephew was suffering from a fatal disease called cirrhosis since his birth. As it is said: “Saving a life of one person means to save a life of whole humanity”. The liver transplant surgery was successfully conducted at King Faisal Specialist Hospital situated in the capital of Saudi-Arabia, Riyadh. Both the uncle and his nephew, Walid Mazin Al-Mutairi are stable and in good health. Organ donation is always a difficult process for a person who is donating. Donation of an organ obviously needs potential along with the risk of complication which is supposed to occur after the surgery. Usually, common donating organs include pancreas, kidneys, lungs, bones, heart, liver, corneas, intestines, bone marrow and skin. Donation of organs is mostly done by a dead donor, although there are some tissues and organs which can be donated by living donors such as liver in this case. When we want to share any of our precious possessions, we think many times before it. But giving a part of your organ is definitely the best example of generosity by this Saudi young man. May Allah bless him and his little nephew with good health (Ameen).